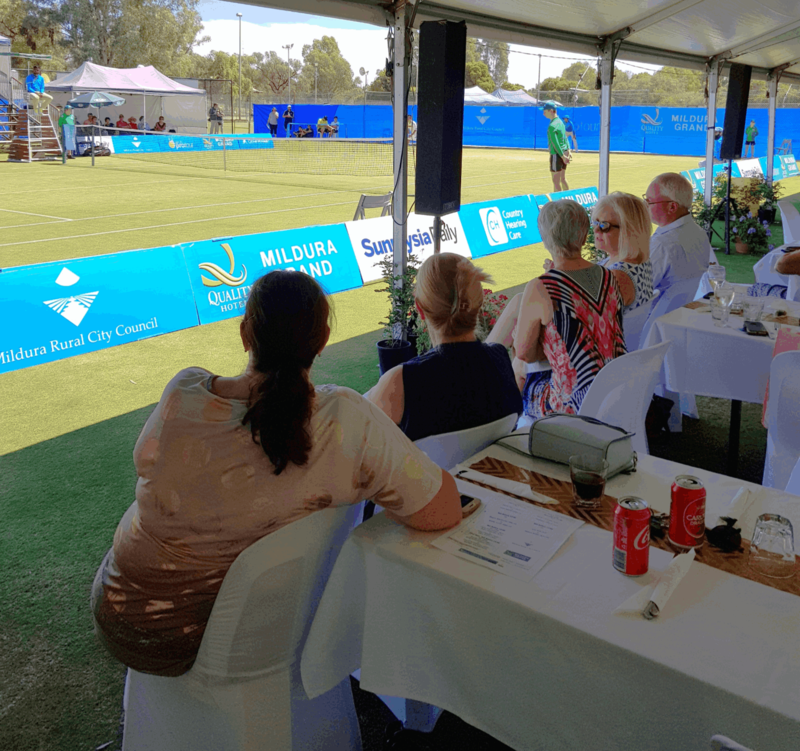 ENJOYING A LOVELY DAY IN THE SUN AT THE MILDURA GRAND TENNIS INTERNATIONAL! Enjoying some lunch and a little tennis! Cirque Africa is coming back to Mildura with a brand new show ready to amaze and enthral you! Cirque Africa is 100% African, 100% energy and 100% fun, a cultural experience like no other. It is a vibrant and highly entertaining blockbuster production which tansports the audience to the positive side of Africa through a modern performance. 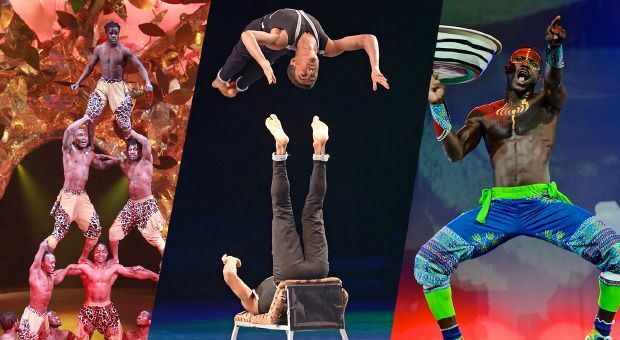 Consisting of 18 performing artists from 6 African countries they include acrobats, dancers, percussionists, musicians and contortionists, who perform a 90 minute awe inspiring show. With stunning, colourful African costumes, high energy knuckle biting acrobatics, comedy, and both traditional and modern originally composed music, this show will have you on the edge of your seat!! HELLO 2019, YOU'RE LOOKING GOOD!! 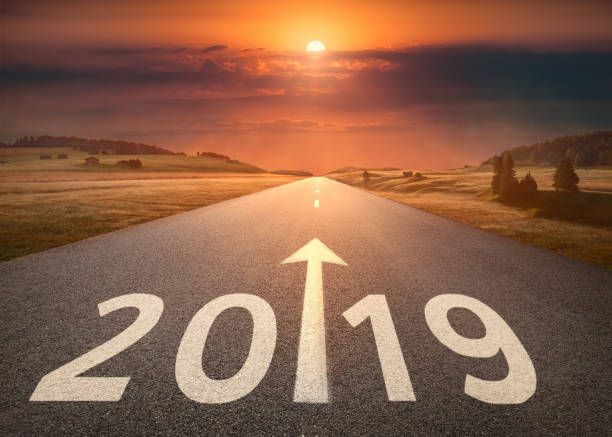 Let's make 2019 a good one! We wish you a Merry Christmas & a Happy New Year!! 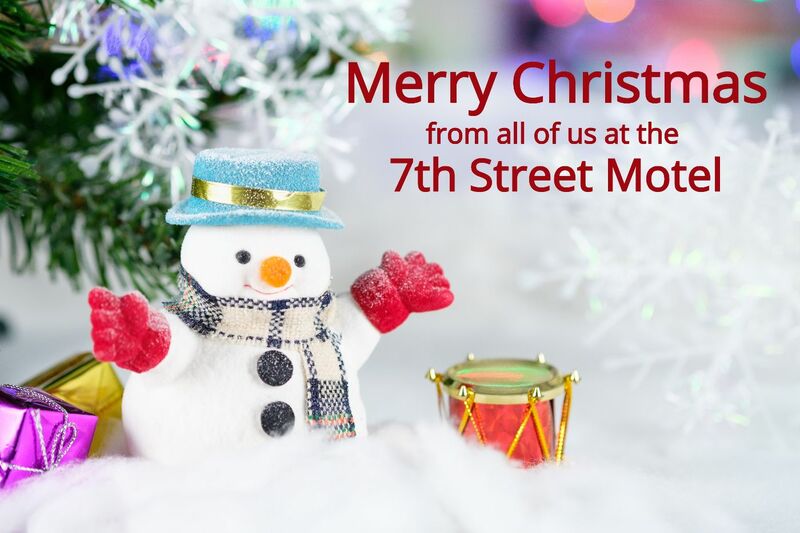 We at the 7th Street Motel don’t want this holiday season to pass without wishing all of our guests, friends and acquaintances a very Merry Christmas and a Happy New Year filled with peace, prosperity and lots of exciting travel. As we look back upon the past year, we would like to acknowledge those who have helped us shape our business. Thanks for a great year, and we wish you all the best as you embark on 2019. Remember to stay safe over the holidays and to eat, drink and be merry!! Feeling pleased that we have a colorful welcome for our guests. 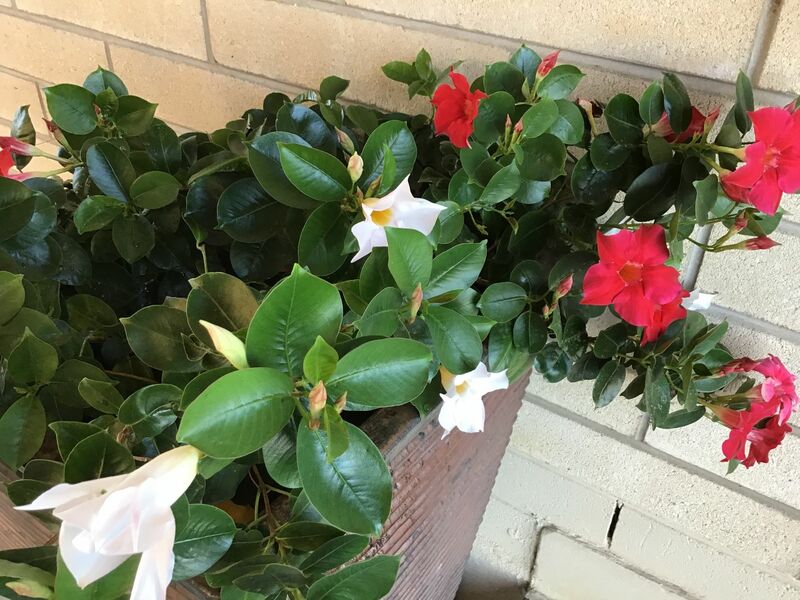 Beautiful Mandevilla. It was wonderful to see most of our regular guests return this year for the 2018 Country Music Festival. The weather was just perfect and the crowds were great. The whole town was booked out during the festival and the shops & restaurants very busy, with a festival vibe all round! 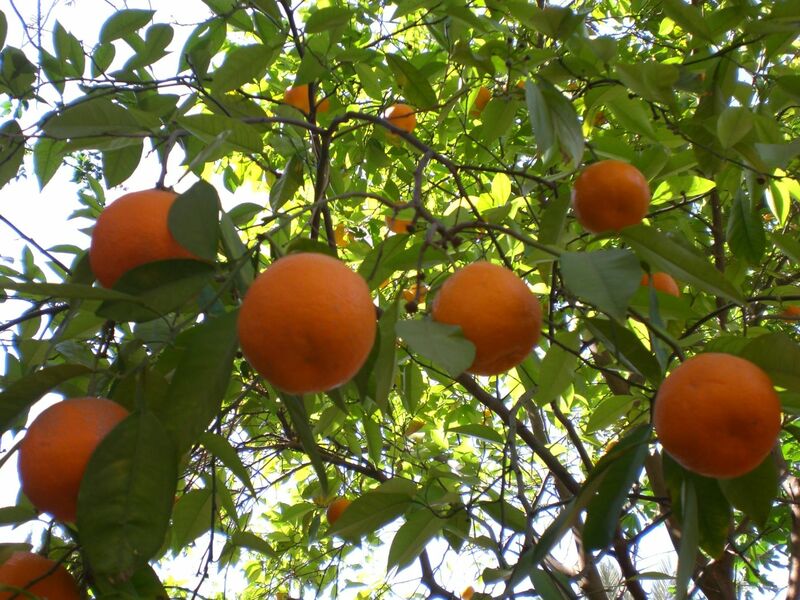 Winter is here again, and with it brings the frosty mornings and wonderful Mildura oranges, mandarins and lemons ready to pick. We all have a chance to get the fires burning and rug up and enjoy the few months of the year when the Mildura heat is not bearing down upon us! It is a wonderful time of year to visit Mildura and surrounds. We are ready and waiting to take care of your every need here at the 7th Street Motel, so what are you waiting for, get in touch today! Mildura has once again turned on the most amazing weather for the Easter long weekend! 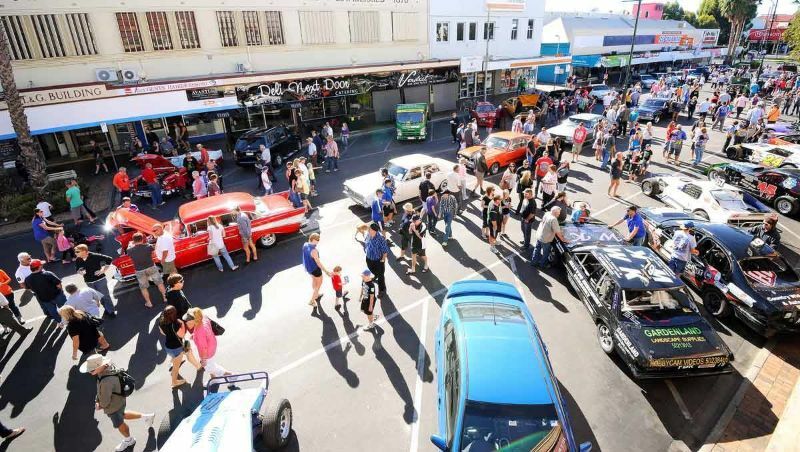 All the action began with the annual Easter Powersports Show & Shine held in Mildura City Heart. The markets were wonderful with everyone enjoying Mildura's fresh local produce and crafts. Easter is here this weekend! 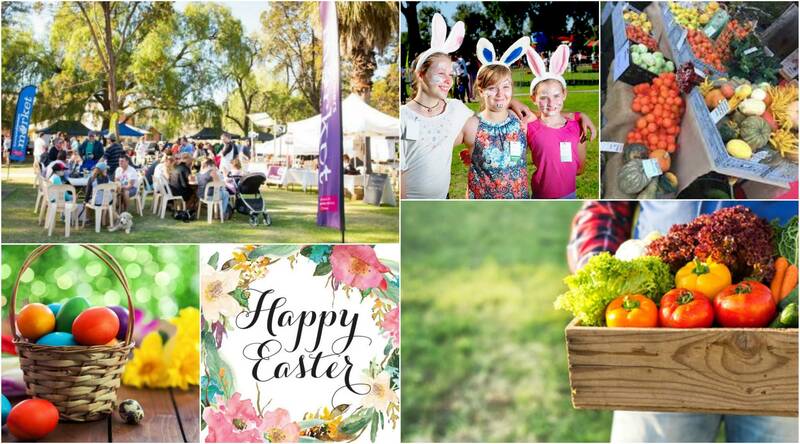 The oven is switched on and baking hot cross buns, and the chocolate just seems to multiply in the cupboard :) We have some fabulous events here in the Mildura region over the Easter Break so if you're heading up this way be sure to check them all out. Wherever you are going this Easter remember to stay safe on the roads, Stop, Revive, Survive!!! But most of all remember to have a wonderful time, Happy Easter Everybody!! Keep your love of tennis going this autumn with the Mildura Grand Tennis International. 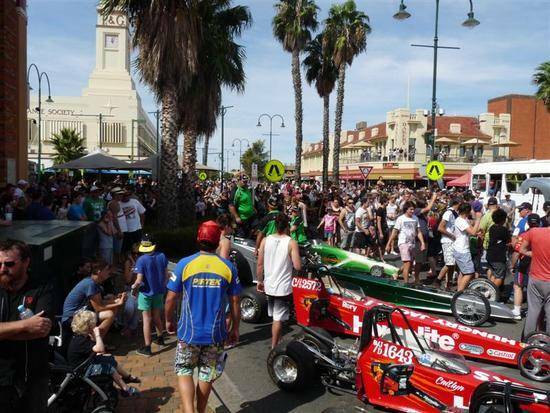 If you loved the Australian Open, get up close to the action live as the region plays host to the Australian Protour. Featuring Australia's prominent and emerging tennis talent, this tournament is not to be missed. The Tour is a players' best introduction to the world of professional tennis. 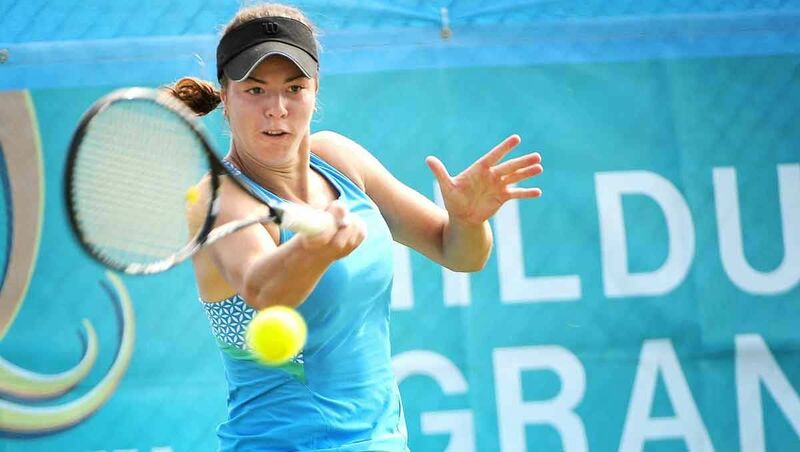 It is the vital link between the junior ranks and the top level WTA and ATP Tours. The Australian Pro Tour also provides a great framework for international players to spend a year competing in Australia. From Saturday 3rd until Sunday 11th March at the Mildura Lawn Tennis Club, Hugh King Drive, Mildura. Click here for details. 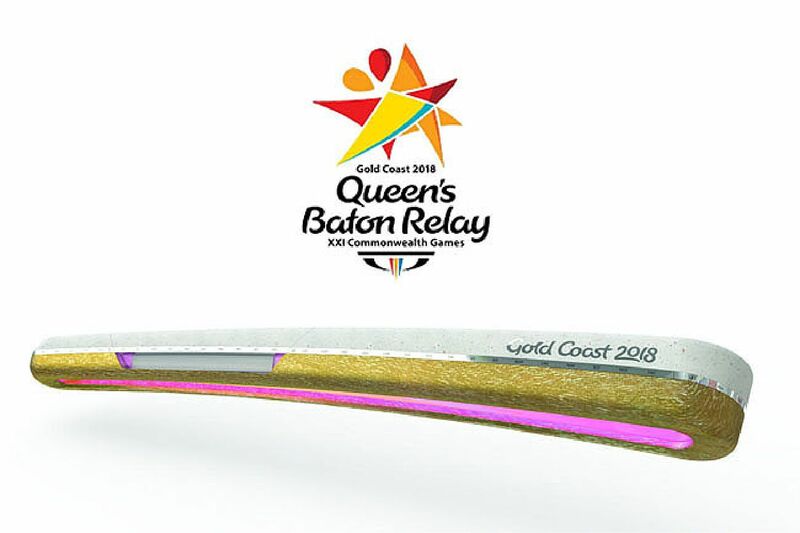 The Queen's Baton Relay will be passing through Mildura on the 17th February on its 388-day journey from Buckingham Palace to the Gold Coast for the XXI Commonwealth Games Opening Ceremony. The Mildura leg of the Queen's Baton Relay will start from Nowingi Place at 3pm, travel through the CBD and conclude on the lawns of of the Mildura Arts Centre. The free Community Celebreation will kick off at 4pm with live entertainment, kid's activities and refreshments. The Queen's Baton Relay will be passing through Mildura on the 17th February. The end of the year is fast approaching and the weather is well and truly heating up! Welcome to another wonderful Christmas in the Bush! With the summer holidays just around the corner, it's time to start planning your annual trips away and what better place to visit than Mildura, we have something for everyone!! Whether you like watersports or bushwalks our region will satisfy even the most picky of travellers!! So get in touch today to secure your little piece of Christmas Heaven at the 7th Street Motel, we will make your stay one to remember!! 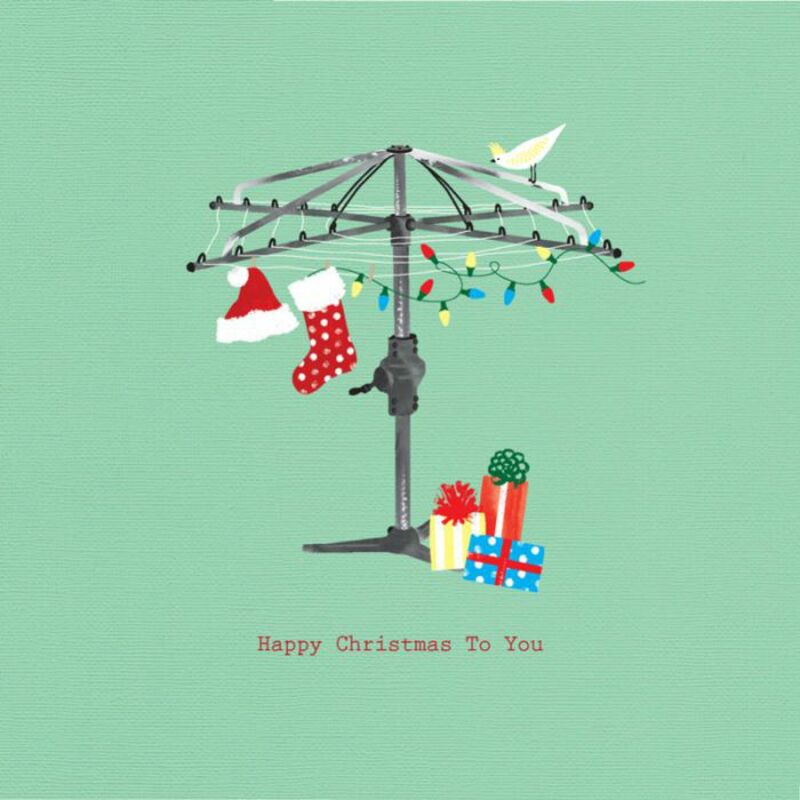 Merry Christmas & Happy New Year from all at the 7th Street Motel. The Return to Country of Mungo Man in November 2017 represents a one-time opportunity for a long overdue and powerful acknowledgment of Aboriginal Australians as the oldest living culture on Earth. This long-awaited moment offers space for truth-telling and healing for all Australians, commemorating the oldest modern humans known outside of Africa and one of the first expressions of spiritual consciousness in the entire human journey. Mungo Man was first discovered in 1974 by Geologist Jim Bowler working on the shoreline of an ancient lake in Western NSW. This discovery and the earlier one of Mungo Lady (1969) forever changed our understanding of the antiquity of human occupation of Australia setting it back beyond 40,000 years. The discovery of these ancient ancestors led to the 1981 UNESCO listing of Lake Mungo and adjacent lakes as the globally-significant Willandra Lakes World Heritage area. Mungo Lady and Mungo Man remain to-date the oldest human remains ever found in Australia and are the oldest modern humans found outside of Africa. All are invited to join in the celebration of the repatriation of the 42,000 year old remains of Mungo Man and the Willandra Collection, back to Willandra Lakes, the world heritage area, on November 17. Held at Nowingi Place the following day and featuring artists Archie Roach, Isaiah Firebrace, Kutcha Edwards plus many more, this event is Free for the whole community. 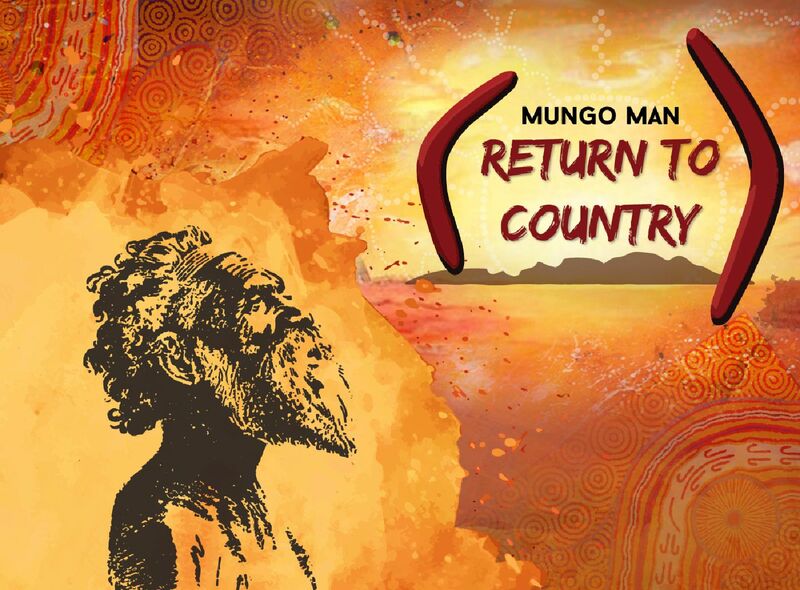 Traditional Owners, as well as other Indigenous Leaders will be present at what will be a very important step in a journey of national significance, as Mungo Man leads us in 'Return to Country'. 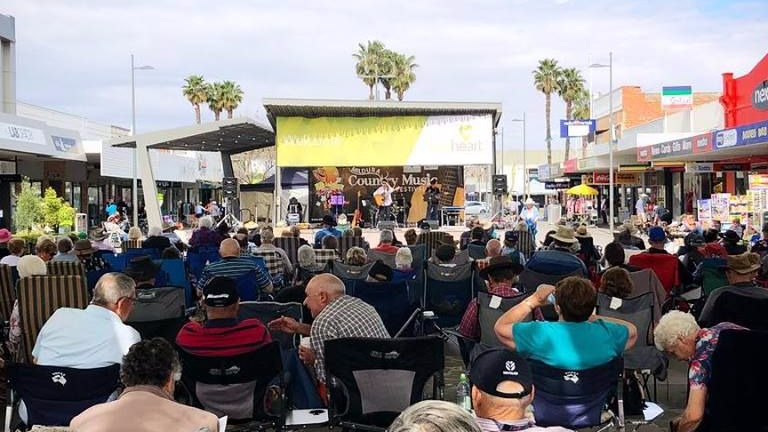 We are right in the midst of the annual Country Music Festival here in Mildura and there is a great party atmosphere as always! We have back with us again our Country Music regulars who travel from far and wide each year to be with us and enjoy this wonderful festival. There is plenty of action to be had in and around Sunraysia at this time of year and with all the nesting birds and new growth on the trees it couldn't be more beautiful. Book your holiday today!! 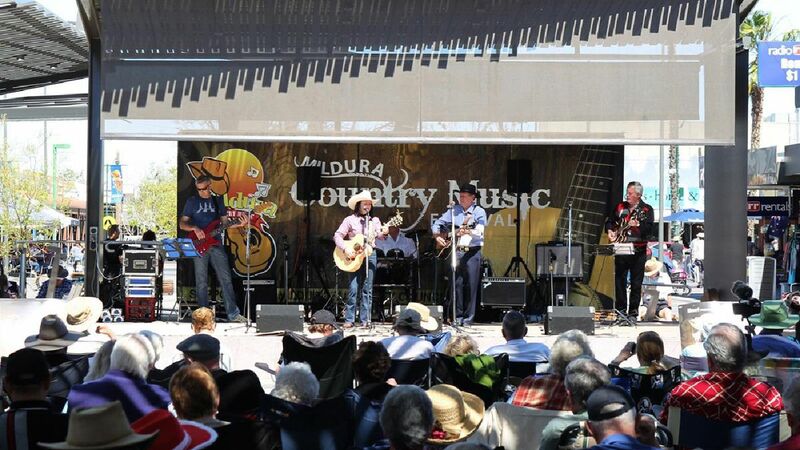 Our annual Country Music Festival is in full swing! SPRING HAS SPRUNG AND THE BLOSSOMS ARE BACK! The beautiful blossoms of Mildura our out in full force again this Spring. The skies are blue and the birds are nesting. Now is the perfect time to start planning your September school holidays and what better place than relaxing by the Mighty Murray River. The Beautiful Blossoms are out in force again in Mildura. WINTER HAS ARRIVED AND SO HAS THE FROSTY MORNINGS! Winter is here again, and with it brings the frosty mornings of the desert climate. We all have a chance to get the fires burning and rug up and enjoy the few months of the year when the Mildura heat is not bearing down upon us! 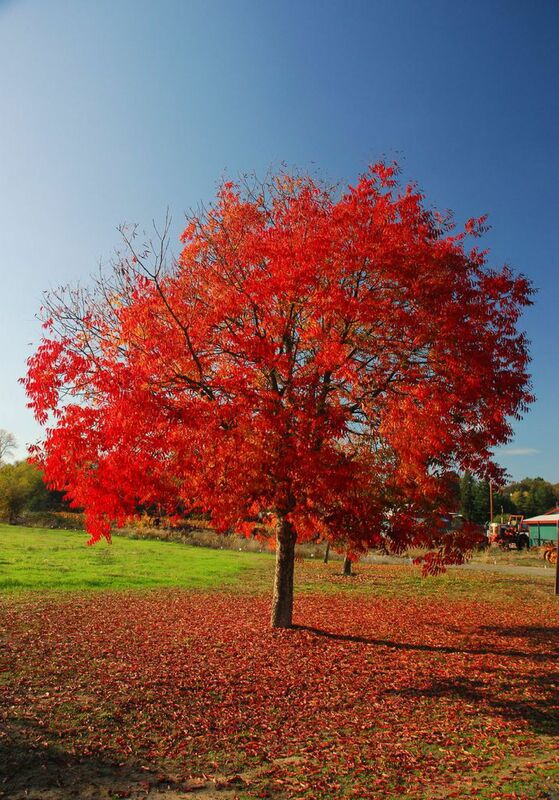 It is a wonderful time of year to visit Mildura and surrounds. We are ready and waiting to take care of your every need here at the 7th Street Motel, so what are you waiting for, get in touch today! The Magnificent Chinese Pistachio in Autumn. As part of the Australian Pro Tour, young tennis players from all over the world come to Mildura to compete so that they can gain rankings. As one of the club sponsors, we have quite a few players staying with us this year. Wayne and I are looking forward to attending the sponsors luncheon at the weekend which is held courtside where we are able to watch some of the finals. IT'S GETTING HOT HOT HOT!!! I have just checked the weather forecast for the next 7 days and it's going to be hot. They say it should be 37 degrees by xmas eve. Our guests will be able to relax and enjoy our lovely swimming pool to keep cool. The new Water Play Park down by the river is also now open and only a 5 minute walk from 7th Street Motel. Relax by the pool & there is even shade for your car! After an unseasonably mild spring, Summer has finally arrived! The weather is definitely on the rise and Mildura is ready to host all your holiday fun! 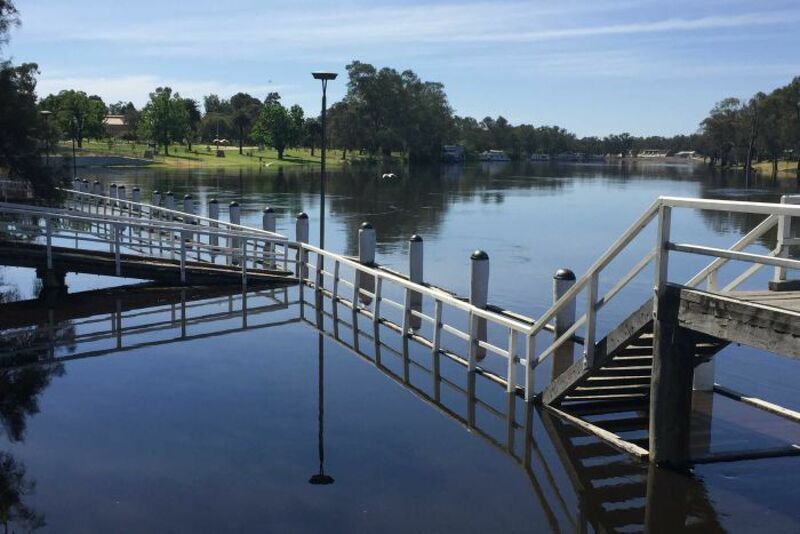 The Murray River has been in flood, affording some fabulous pictures but unfortunately not making for the best activity hub, however it is now receding and we are all getting ready for a wonderful Christmas period. So if you haven't booked your Christmas Holidays yet, get in now before it's too late!! 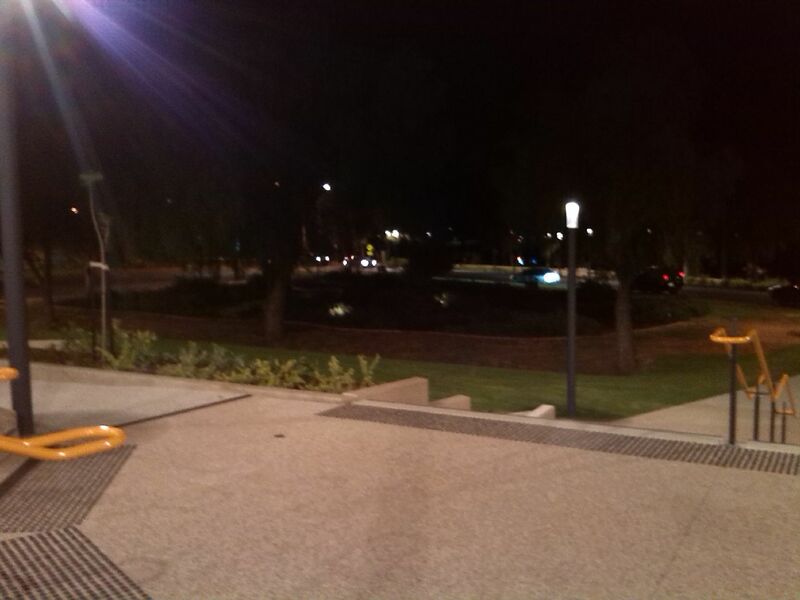 The new access to the Murray River from 7th Street is now open and looks fantastic. 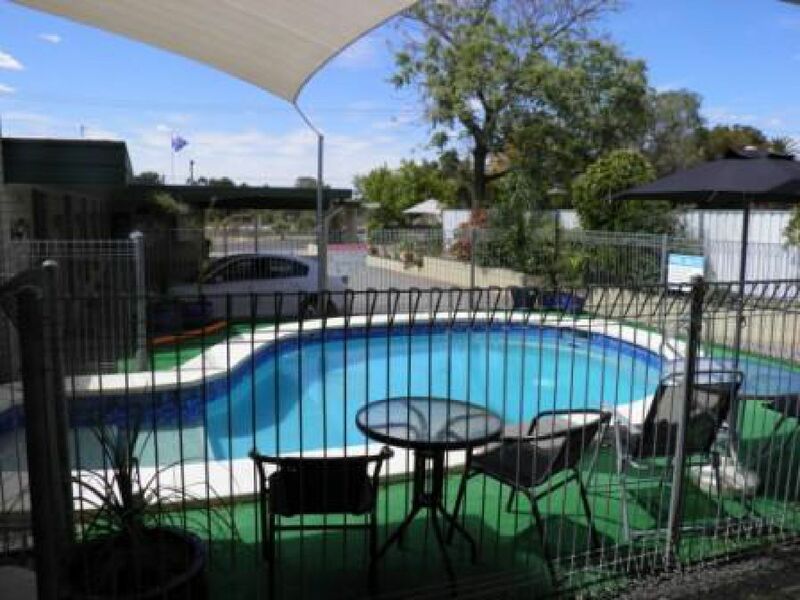 Just a short stroll from the motel and you are able to wander down to the river while enjoying the views and landscaped gardens that have been put in. 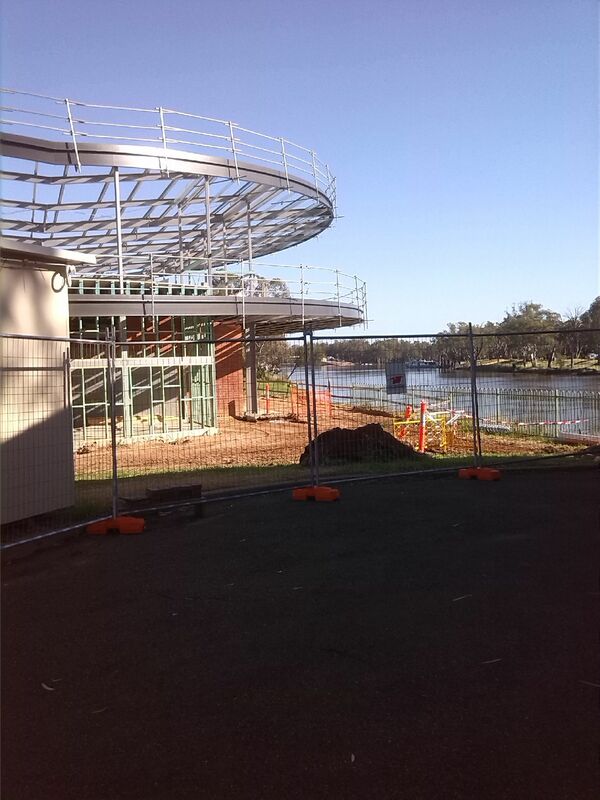 The Rowing Club is also underway for a transformation and is progressing fast. Top level is going to be a restaurant overlooking the river. An evening stroll to the river. With another Country Music Festival now behind us we look forward to the upcoming and very busy summer period. Mildura is the place be in the warmer months, with plenty of activities for all ages. Whether you are into adrenalin pumping sports like waterskiing and wakeboarding or prefer the more relaxed pursuits such as river cruises and wine tasting, our diverse region has it all. Why don't you get in early and book your summer vacation now, so you can relax in the knowledge that everything will be taken care of! 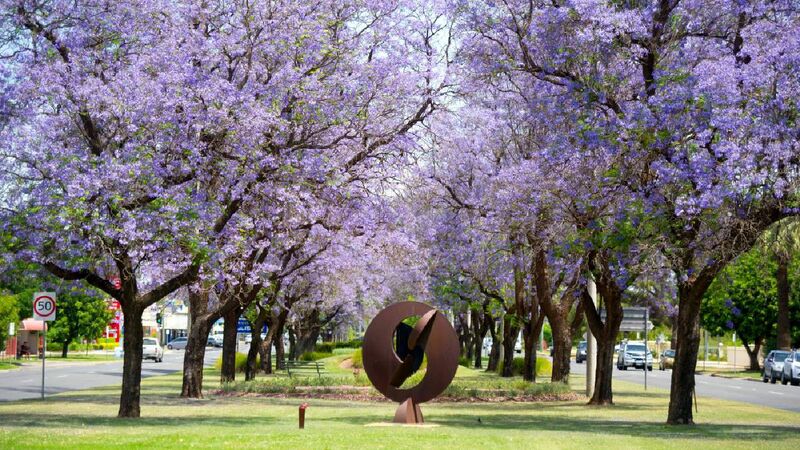 Jacaranda Trees on Deakin Avenue; a beautiful late spring Mildura attraction. The weather has been beautiful this week, reminding us all that spring is well and truly on its way! We here at the 7th Street Motel are gearing up for yet another busy Springtime Season with the Mildura Country Music Festival fast approaching and the annual Jazz, Food & Wine Fair not too far behind so if you haven't already then book your holiday to Mildura to take advantage of all that our beautifully diverse region has to offer! 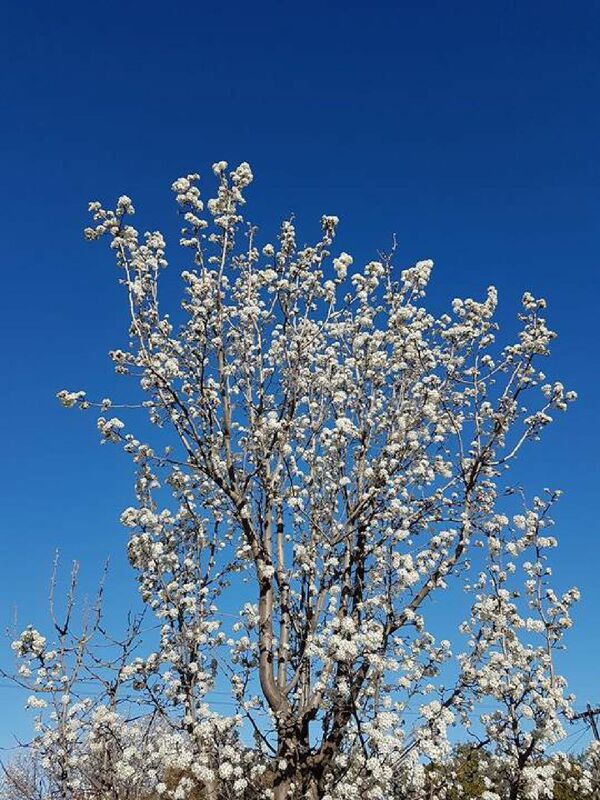 Sunraysia's Beautiful Blossom Season is soon to be upon us. There's plenty of things happening in Sunraysia to keep you entertained in the lead up to Spring, so why not pack those bags and get some winter sun in Mildura! We have the annual Zest Fest, celebrating all things citrus, The Merbein Great Australian Vanilla Slice Triumph where you can taste all the delicious entries, The Spring Flower & Floral Design Show to get your green thumbs twitching and The Wentworth Show, proper old school country show fun for all the family! Mildura Writers Festival holds the annual Philip Hodgins Memorial Dinner this evening at 7:30 at the Mildura Tennis Club. Tomorrow is a full day of readings and interviews at La Trobe University followed by 'Mid Winter Feast' - a 3 course dinner by Stefano De Pieri includung a pre dinner talk by Richard Denniss, also at the Tennis Club. It is finished in style with a finale lunch at Stefano's cafe at 27 Deakin. Don't miss out on these fabulous events all weekend in Mildura. 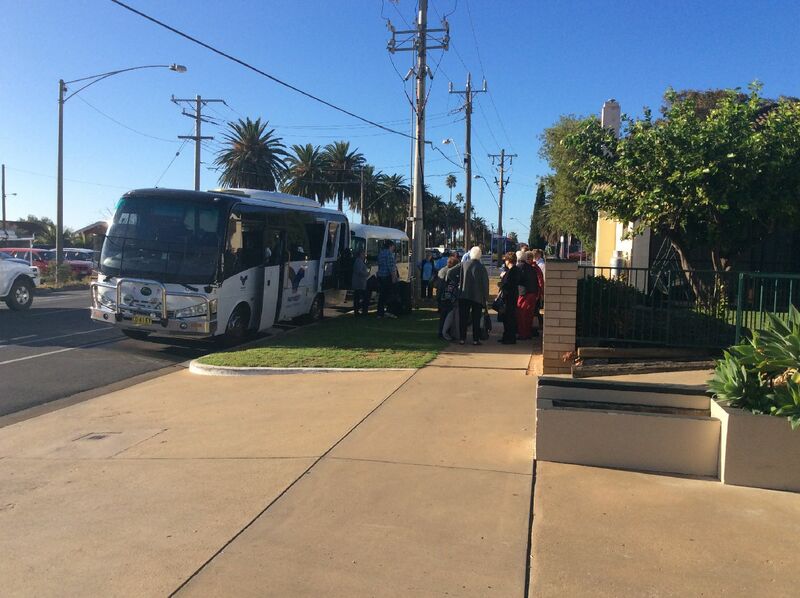 We had a lovely group of ladies & gentlemen here last week from Broken Hill. They enjoyed their stay so much they are coming back next year to do it all again!! 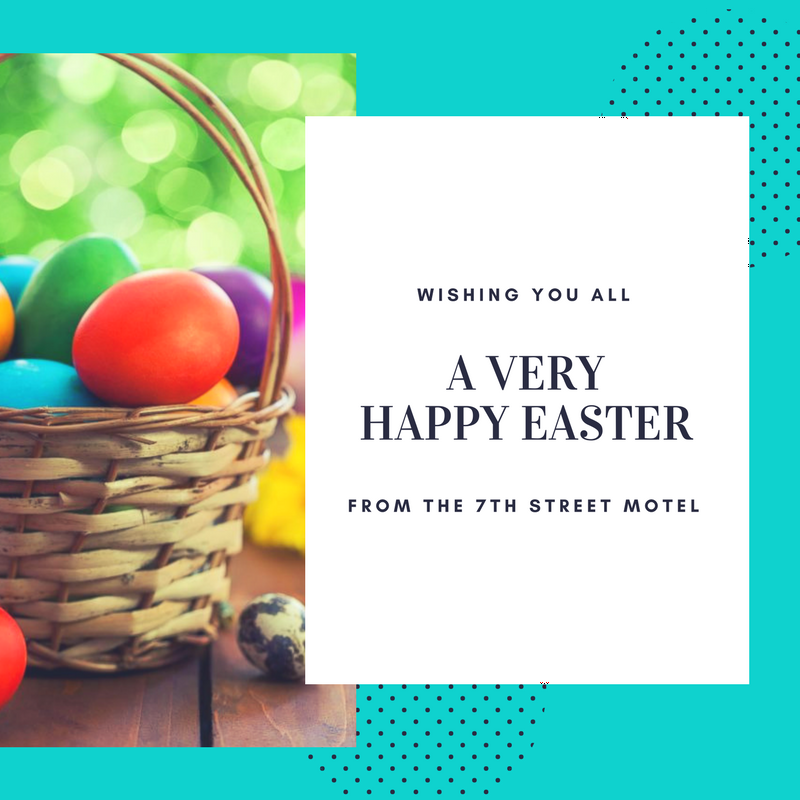 We all here at 7th Street Motel would like to wish you a belated Happy Easter!! We were so busy with all the influx of tourists for the annual boat race I have not had time before now to post an update! We had a wonderful weekend here in Mildura, the weather was perfect, not too hot and beautiful blue sunny skies. With over a week left of the school holidays why not come to town and enjoy the magical time that is Autumn in the desert!! 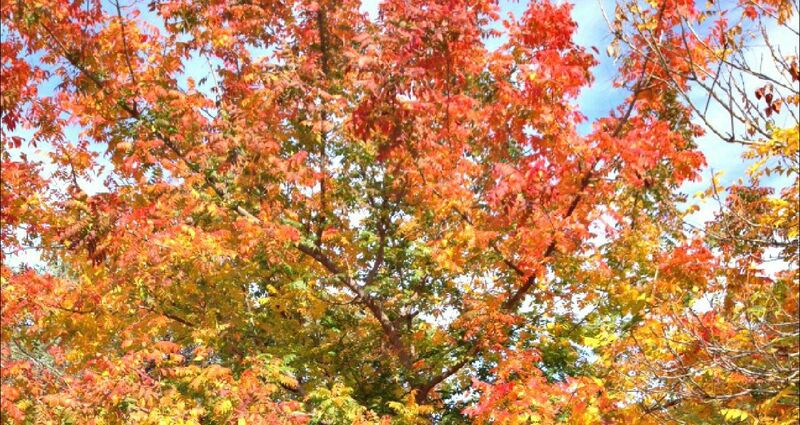 Although we are still feeling the effects of a very hot summer, Autumn has finally arrived! We are about to be gifted the bright red foliage of the Chinese Pistachio Trees along with the Claret Ash that will be turning a wonderful maroon. 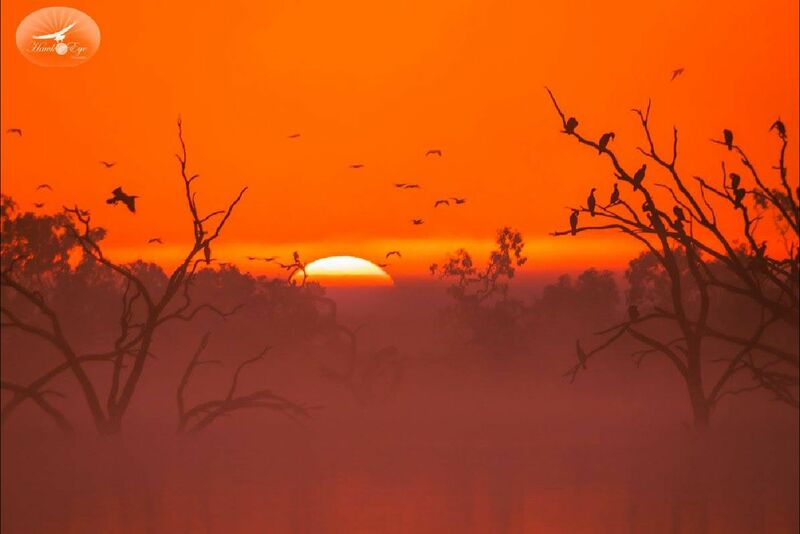 The fog on the Murray will be resting above the water at dusk and dawn and its the perfect time to set out and explore our wonderful region by bike. Did I mention that we have two fabulous mountain bikes for hire? What an ideal way to immerse yourself into our diverse landscape! Kicking off on Friday 4th March is the Mildura Wentworth Arts Festival. It starts with a River Party with live Jazz and the Sunraysia Farmers Twilight Market. Also starting on the 4th is 'The Shades of Grey' exhibition at Stefano’s Cafe. Thirteen photographers are exhibiting twenty-five black and white portraits of the ‘hidden gems’ in our community. The following weekend see the Red Cliffs Players present: William Shakespeare’s 'A Midsummer Night’s Dream' at the Australian Inland Botanic Gardens. The Mildura Grand Tennis International is coming to town on the 28th Februrary and goes until the 6th March. It promises to be an exciting event for all the family and with prize money totalling USD$50,000 it is sure to attract some talented players! We have rooms available for spectators and players alike and considering we are literally a hop, skip and a jump from the venue it's surely a no-brainer to book with the 7th Street Motel. For more information on the tournament click here. With Australia Day approaching fast now is a good time to think about what we celebrate on our national day and why. Australia Day started life as the anniversary of a minor movement of the First Fleet from Botany Bay where they had made landfall some eight days earlier. It wasn’t the official commissioning of the colony either, which took place on 7 February. And of course, it wasn’t the arrival of people on this great land mass, an event which took place millennia before. So it turns out that in many ways the date, 26 January, is unimportant. And yet, this 26 January Australians will get together to celebrate their good fortune and (particularly in the early days) to thank their lucky stars that they have survived another year in this great but harsh land at all. Celebrations have ebbed and flowed during that time, sometimes enjoying a great groundswell of support, at other times bearing the marks of a cultural cringe. History is rarely one straight line of smooth sailing and Australia’s history is certainly a mottled one. Australians have always been a little uncomfortable with formalities. So it has been with our national day. The Americans may have their Fourth of July parades, and the French their Bastille Day processions, but insofar as there is a definitive way of celebrating Australia Day it’s a barbecue. 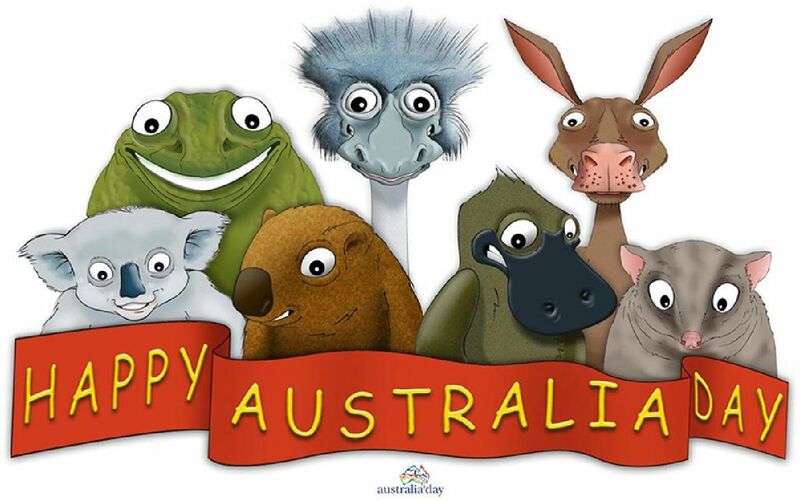 Happy Australia Day from all here at The 7th Street Motel. As the silly season fast approaches, we at the 7th Street Motel Mildura would like to wish everyone a very Merry Christmas and a Happy New Year! It is time to eat, drink and be merry, and most importantly of all to be surrounded by your loved ones. Let's also take time out to think of those less fortunate than us and maybe spread a little holiday cheer to bring lightness out of the dark. I would also just like to say to all those travelling on the roads this Christmas Season to take the utmost care and rememeber, Stop, Revive, Survive! So it's the first day of summer and already it feels like it's going to be a scorcher this year on the edge of the desert, thank god for the Mighty Murray River to help us all cool down! We have a beautifully refreshing outdoor pool here at 7th Street Motel, so there's no need to travel in the heat to the rivers edge! Just rememeber that we here in Australia need to cover up as best we can to avoid the harmful effects of the ultra violet rays, so as they alway say, Slip, Slop, Slap!! 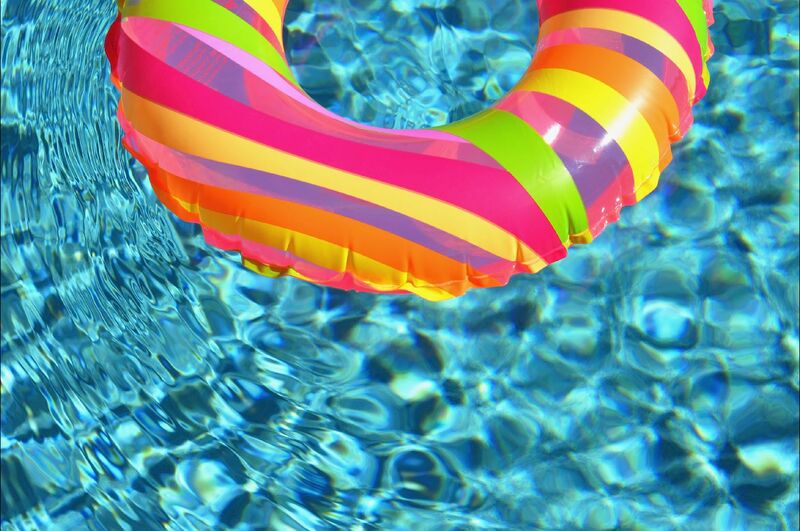 Cool off in our refreshing swimming pool. Awesome experience. Very friendly. Karen and Wayne were very friendly and accommodating. The rooms were clean rooms and motel was central to town. Wayne will even pick you up and drop off from the airport free of change. They do a breakfast from 6.45am which was great for us. Great value added. Will stay there again . I only stayed one night- but I appreciated the simplicity and personal touch of the stylings. Great location, wifi good & great location. The service was genuine & the milk was fresh! Definitely recommend. I stayed 6 days. Everything was perfect. House keeping is done everyday and It's spotless. Privacy,100%. Close to station/shops, Free wifi, pool, mini bar fridge, microwave, toaster, kettle, tv -You name it, they have it. Run as a family business, Wayne and Karen felt like family. Love you guys. 7 th Street motel - Place to be! Thank you all for making our stay enjoyable on our first visit to Mildura. Our room was comfortable and very clean. We will let anyone know who is coming to Mildura to stay here. Thank you ladies, who clean the rooms. You do a wonderful job. I have stayed in quite a few motels and have never had one as clean as this. The exhaust fans & ceiling fans usually never get cleaned. Thanks again. 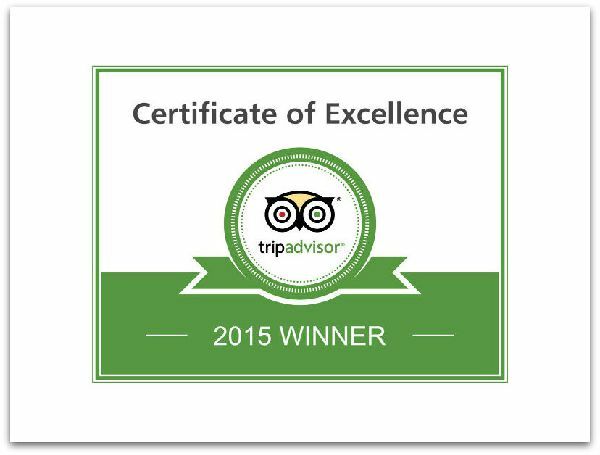 Here at 7th Street Motel we are consisently rated highly and are continuously awarded their prestigious Certificate of excellence. 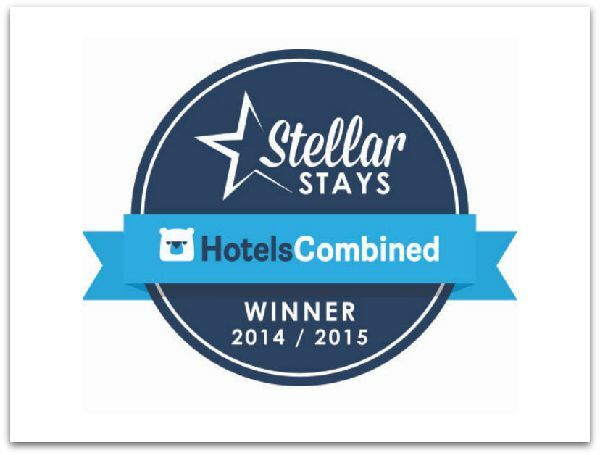 We have recently been awarded with HotelsCombined Stellar Stays for 2015. 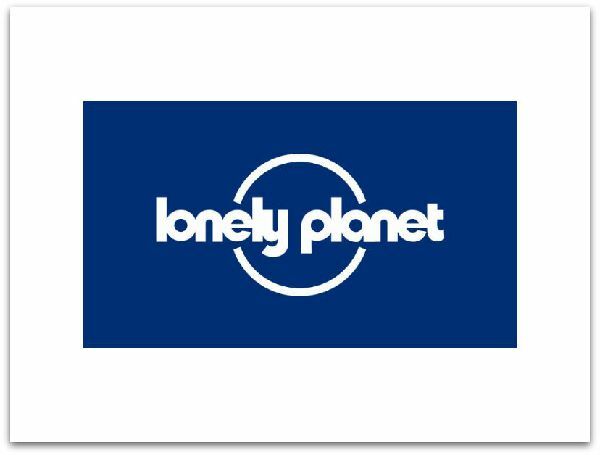 We are consistently featured in the world famous Lonely Planet travel guide. 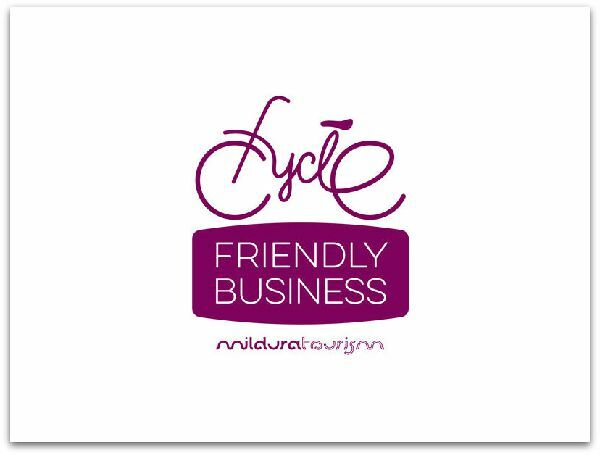 We are proud to be associated with Mildura Tourism in being a cycle freindly business.